Explanation: A weekend trip for astrophotography in central Australia can result in gorgeous skyscapes. In this example recorded in March of 2006, the center of our Milky Way Galaxy rises over planet Earth's horizon and the large sandstone formation called Uluru, also known as Ayers Rock. After setting up two cameras to automatically image this celestial scene in a series of exposures, one through a wide-angle and the other through a telephoto lens, photographer Joseph Brimacombe briefly turned his back to set up other equipment. To his surprise, the ground around him suddenly lit up with the brilliant flash of a fireball meteor. 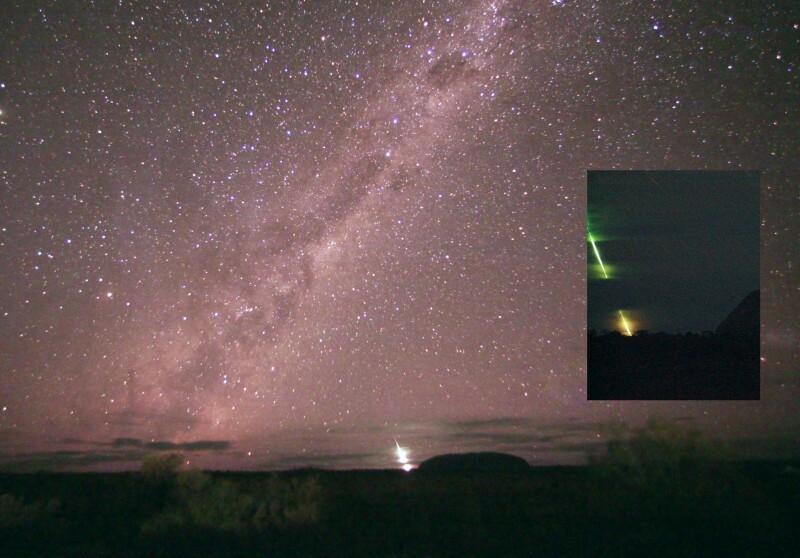 To his delight, both cameras captured the bright meteor streak. 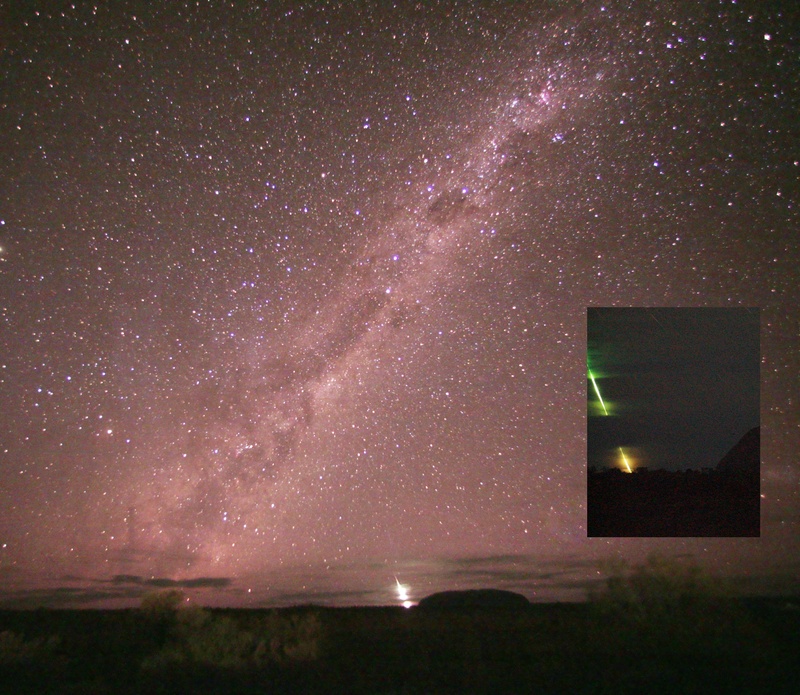 Highlighted in the telephoto view (inset), the fireball trail shines through cloud banks, just left of Ayers Rock.